Designed for the most demanding terrain on your next ski mountaineering adventure, the Men's SkiMo Pants are ideal for high aerobic activities. Stretch Chameleon4 softshell fabric offers superlative mobility, a durable water repellent finish and wind resistance - key for any mountain activity. 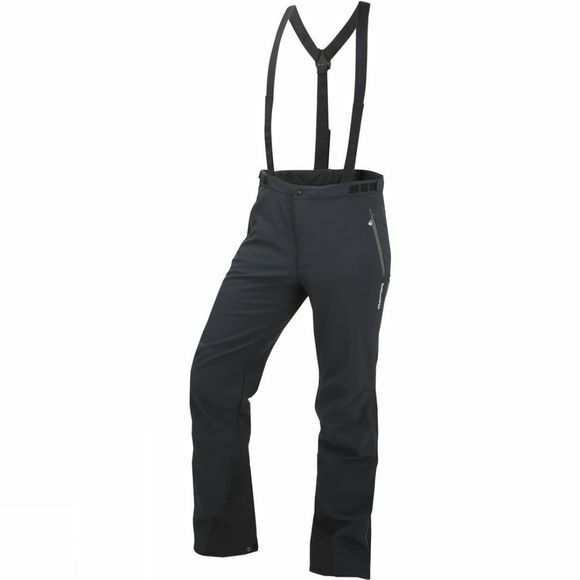 The Pants have a technical alpine cut with articulated knees for unrestricted freedom of movement. A comfortable, snug fit is ensured by hook and loop stretch side adjustments, a brushed microfleece inner waist band (with belt loops) and removable adjustable braces. 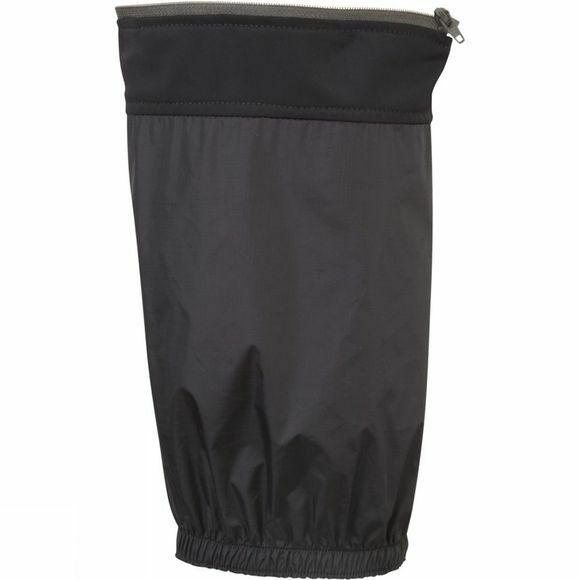 Other features include two mesh lined thigh vents to help regulate temperature and two zipped hand pockets with a right hand internal zipped security pocket. The crampon reinforcement patches and internal detachable snow gaiters, ensure these Montane Pants are fully featured for your most challenging off-piste adventures.